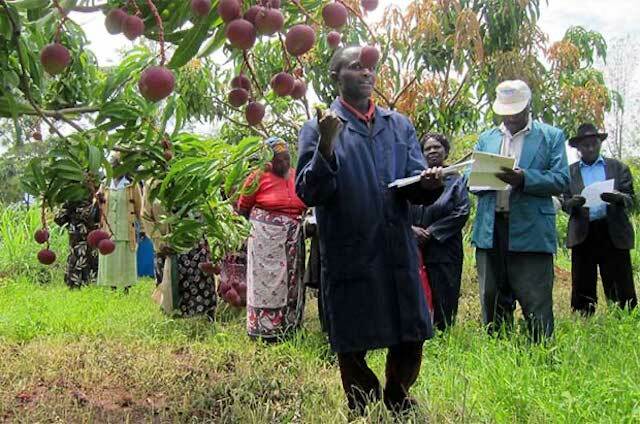 A new case study examines how TechnoServe and the Rockefeller Foundation are using a shared value approach to address post-harvest loss in Kenya's mango sector. In the foothills of Mount Kenya, Meru Greens Horticulture has made a business of sourcing, supplying and trading fruit from hundreds of smallholder farmers in the area. While Meru Greens has grown into a thriving, successful business, the challenge of getting the fruit and vegetables from farm to factory has proven to be an obstacle. Meru Greens is not alone. Companies across Africa struggle to get fruits and vegetables from farmers in their fields to their processing facilities in urban centers. Along the bumpy and dusty roads of the region, produce gets damaged on its way to the factory, increasing costs for businesses and decreasing incomes for farmers. While the technology exists to help reduce post-harvest losses, many of the region’s smallholder farmers lack awareness about available solutions. 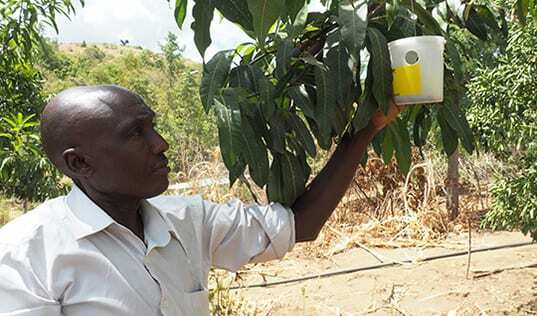 The Rockefeller Foundation's YieldWise initiative, which is being implemented by TechnoServe in Kenya, is looking to reduce post-harvest losses by getting that technology to the farmers in order to help both companies and farmers prosper. 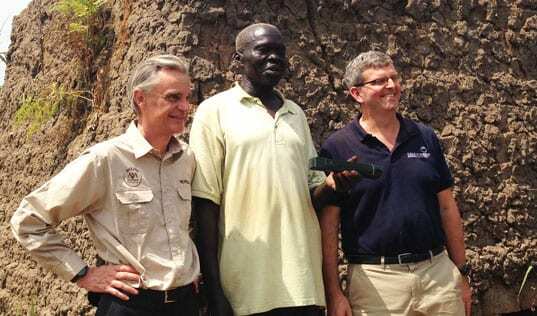 A recent case study published by the Shared Value Initiative demonstrates how this program is proving beneficial to both businesses – like Meru Greens – and farmers. In the case of Meru Greens, YieldWise is helping to get solar-powered cold storage units to the farmers who supply the company. These storage units can help keep mangoes fresher for longer periods of time, a big obstacle in Kenya’s climate. Meru Greens owns and operates the cold storage units, while also training farmers on their benefits and how to use them. The company provides transportation from aggregation centers, where farmers bring their mangoes for sale, to the storage units and then further on to end markets in Nairobi. TechnoServe provides training to farmers to help them produce higher quality mangoes for the company, as well as teaching methods to reduce pre-harvest loss from pests and proper packing techniques to ensure that the valuable mangoes make it to aggregation centers intact. The Rockefeller Foundation is hoping that this project will demonstrate the market opportunity for private-sector actors to become more involved in developing sustainable supply chain solutions. Private companies such as AGCO’s GSI, which produces and designs the cold storage units Meru Greens uses, can be hesitant to provide solutions if they see that demand is low. As more farmers and businesses become aware of these products and their benefits, the demand will increase. The potential to scale these solutions is enormous, with large businesses such as The Coca-Cola Company seeking to increase their local sourcing and make their supply chains more sustainable and efficient. The company’s sales volume in Africa continues to increase, seeing an increase of over 39 percent in 2015 alone. Mangoes are one of Coca-Cola’s largest supply needs, so the current post-harvest loss rate of 40 percent in Kenya is a major challenge. Solutions, such as cold storage or better packing, are necessary for the company to reach its goal of sourcing 80 percent of produce locally by 2020. YieldWise is helping to demonstrate that businesses large and small are able to adapt solutions that can help to make their supply chains more efficient and more inclusive, proving to be beneficial to both businesses and smallholder farmers.